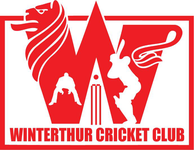 On Saturday 23rd and Sunday 24th April 2016 the Winterthur Cricket Club will spend a weekend in Lodi, Italy where they will play two cricket matches against our Italian friends Idle Cricket Club at the Radish Cricket Ground (RCG) in Lodi, Italy. This is an excellent opportunity, especially for those new to the club, to get to know other members, besides having some fun on the cricket field. 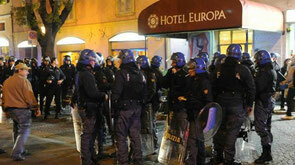 The is also a social event so also feel free to just come along and enjoy beautiful Lodi or go shopping in nearby Milan. Lodi is easily reachable by car and train. For those taking a car or wanting a lift to Lodi please contact John Hallam. Those wanting a hotel room arranged for the Friday and Saturday also contact John and indicate whether you would like to share, or whether your preference is a single room. In the past, most people have travelled on the Friday afternoon to enjoy an evening in Lodi, but travelling on the Saturday is also feasible. The return journey will be Sunday after the game, meaning about 5pm. The travel time by car is about 4 hours (Winterthur - Lodi). This weekend has been very successful and popular over the years, and we look forward to another successful weekend on and off the cricket field in Lodi. If you would be interested in joining the Winterthur Cricket Club tour party to Lodi, either as a player or as a spectator, then please contact John Hallam at your earliest convenience.